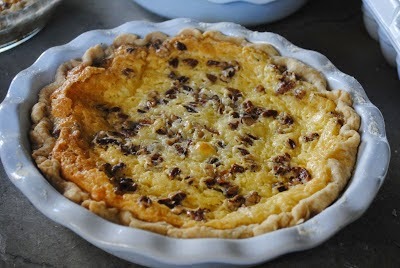 Lines from Linderhof: National Pie Day! 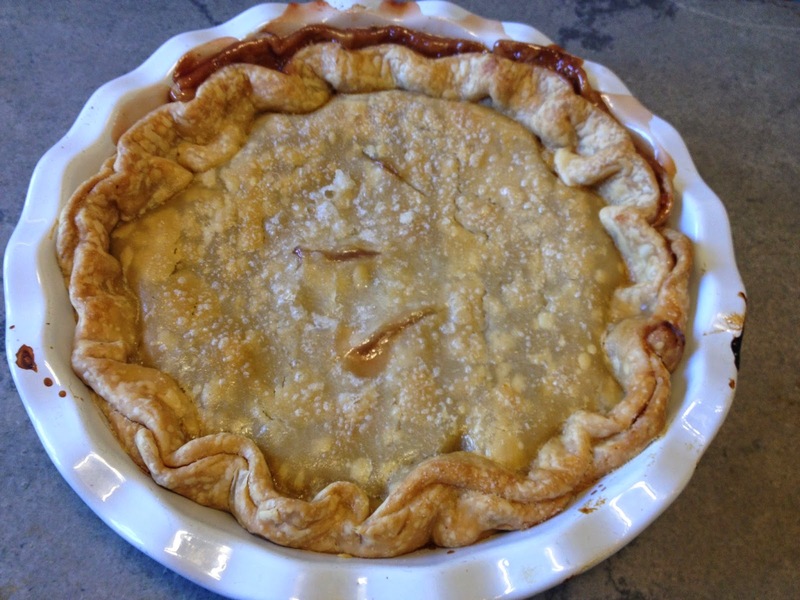 It's National Pie Day -- are you having pie today? And what kind? 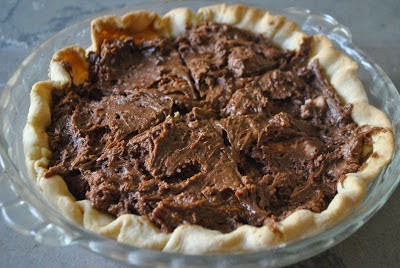 Of course, there is a National Day, Week, Month for everything but National Pie Day is at least based on something. It's based on Pi -- the 3.14159 (Pi is the symbol used in mathematics to represent a constant -- the ratio of the circumference of a circle to it's diameter). It's a day to strut your mathematics knowledge! 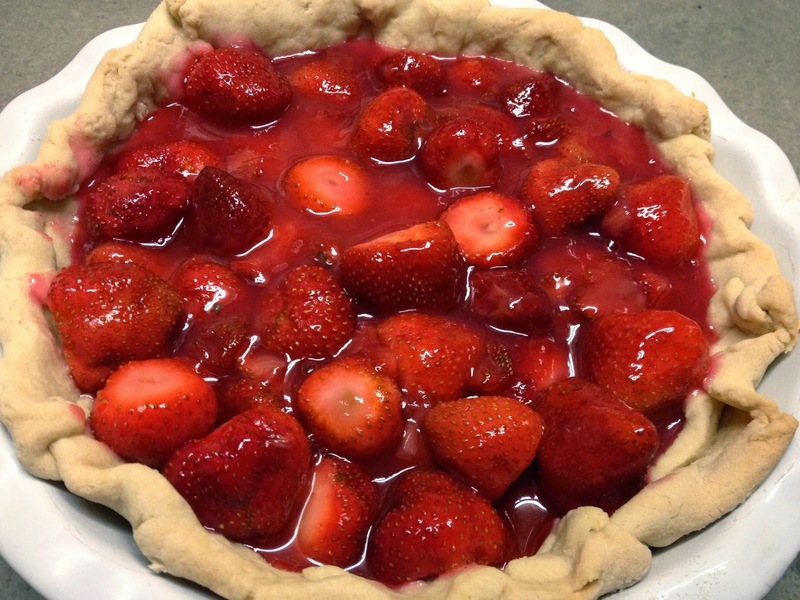 And because besides "Pi" day, it's also know as "Pie" day -- it's a time to eat pie! 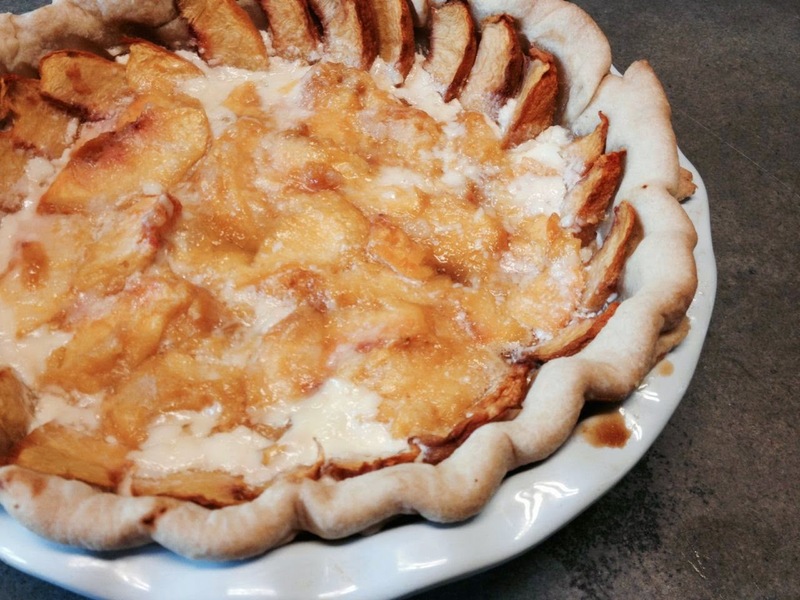 We love pie at Linderhof. But it's usually a company dessert (except on Halloween when we bake a pumpkin one) for it's at least six pieces (and sometimes eight if it's very rich) of dessert. And we have no control -- it will be gone before bedtime! But pie is a great company dessert. Six pieces for six guests. And pie is so good with coffee! 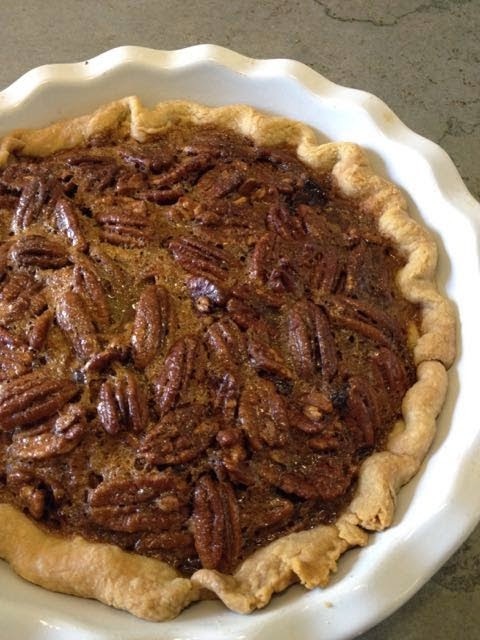 We have our favorites and then we have the pies that are seasonal and we must bake every year -- it's a ritual! Some are connected to holidays (like the Halloween pumpkin) while others are because that fruit is in season. 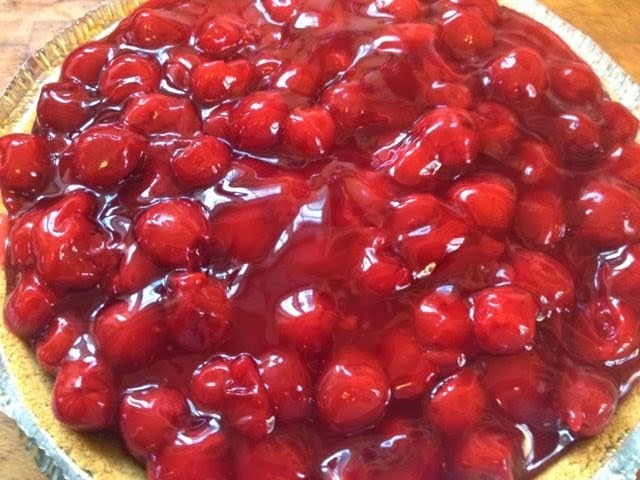 What's my favorite pie -- well, I adore lemon meringue and I adore that cherry O cheese pie (it's a Valentine's or George Washington's Birthday Pie), it wouldn't be summer without the Dutch Peach Pie, and when there are fresh cherries -- oh, my, a traditional cherry pie can't be beat! I like coconut cream as well but no one makes it like Jim's mother. And I don't try. When we go to charity "feeds" in town, pie is usually the dessert of choice. 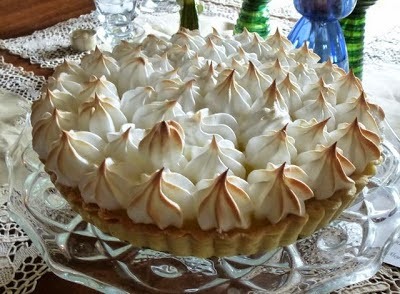 Very rarely is their lemon meringue but often there is the coconut cream and I tend to chose that. If that's the case, I'd say that coconut cream must be my favorite!!!! 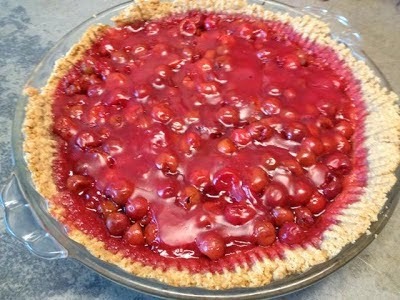 Are we having pie today -- you bet!!! Fresh from the oven this morning . . .
Alas, not made with fresh or even Farmers Market frozen gooseberries but with the canned variety. Fresh out of the oven, steamy hot. 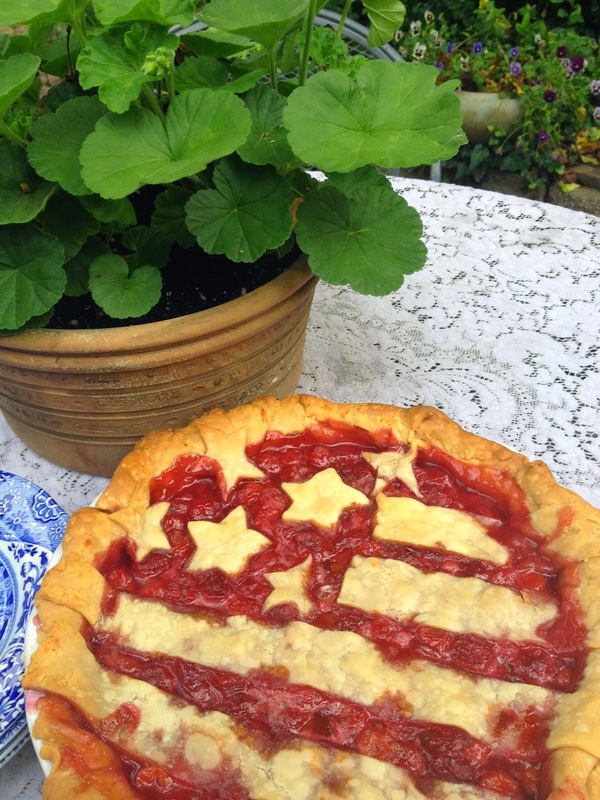 We'll make an exception on National Pie Day and have pie for dessert tonight! Oh my goodness. And, where are the recipes for all those marvelous looking pies? I live in Georgia now, but grew up in Nebraska (so kinda neighbors).